BITSAT 2019 Admit Card has been available on the official website of BITS Pilani from 12 April 2019. The aspirants can download the admit card or Hall ticket from the official BITSAT portal. And, Candidates are required to download and print the hall ticket on or before 13 May 2019. It is an essential document for appearing in the test. Candidates should keep the Admit card with them till the admission process is over. The Candidates can book the slots from 28 March – 08 April 2019. Only those candidates who have done the slot booking and selected the test centre & time can download the admit card from 12 April 2019. After the slot booking is over the Admit card downloading procedure will start. Candidates will be provided for at least one month of time to download the hall ticket. Firstly, the candidate must visit the official BITSAT website and find the login option. Then, click on “BITSAT Hall Ticket Download 2019” link on the page. Further, enter the BITSAT Application Number, Gender, DOB in the required field. And, Click on “I Agree” then Continue. Now, Download and Save the Hall ticket in PDF format. Finally, Print the hall ticket on a plain A4 sheet. Paste passport size photograph in the space provided. 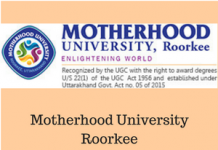 Admit card issued by the respective Board for the Board exam. Apart from this, any other document issued by some competent Authority and carrying the photo of candidate would be treated as valid identity proof for this purpose of the exam. The BITSAT Hall Ticket 2019 is an important document for students appearing in BITS, Pilani Entrance Examination. 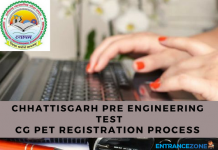 BITSAT 2019 Admit card is a necessary document. And, candidates need to preserve it till the admission process is over. Moreover, Impersonation is an offence and the ticket is Nontransferable. The student should not carry Bags, Calculator, Tables, mobile phones etc at the test centres. Also, Candidates must carry a pen for signing and for rough work during the online test. Finally, Candidates will not get permission to enter the test centre without presenting it at the entry gate. The detailed report about BITSAT CBT is given here. This test does not need the candidate to have any specific IT skills. And, The Sample test will be provided to registered candidates for practice purpose. The applicant will be assigned a computer and questions will appear on the monitor. And, The candidate has to choose one option out of four option for a question using the mouse and keyboard. Further, The connection of the system to the server will ensure real-time connection to process the test. Also, This computer-based tests will take place in different cities at allotted test centres in India in May 2019. Moreover, Candidate will be able to choose the date, time, test centre for the test according to their convenience. Hence, score evaluation is fully transparent. 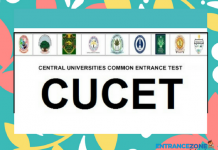 The test will have questions from Physics, Chemistry, Mathematics/ Biology, English and Logical reasoning and the duration of the test is 3 hours. Questions are of objective type and based on NCERT syllabus of class 11 and 12. BITSAT 2019 Slot booking will be available from 28 March – 08 April 2019. Applicants who missed the slot booking will be allotted a slot by the BITS, Pilani. Hall tickets link will be available on this website from 12 April to 13 May 2019. Check BITSAT-2019 Online exam centres Here. And Check BITSAT-2019 test centre addresses Here. 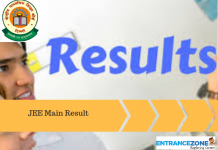 bitsat admit card 2018, bits pilani application form 2019, bits hd admit card 2018, bits admission, bits pilani admission, bits mtech admission 2018, bitsat application form 2018, bitsat exam, bitsat application form 2019, bits pilani admission 2019, bitsat 2019 registration, bits pilani admission 2018, bitsat 2019 form, bitsat admit card 2018 download, bitsat 2018 cutoff.